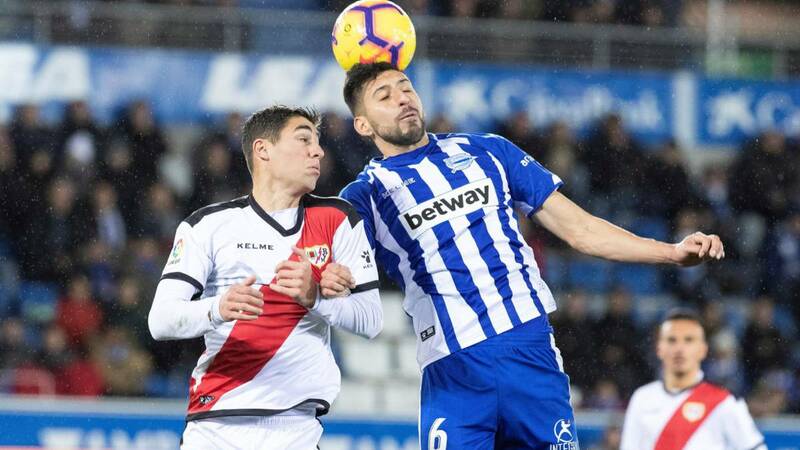 Both the midfielder and Baby saw the fifth yellow and will lose the derby with Leganés. That upsets the eleven most repeated by the technician this course. Until a few weeks ago it was hard to say the eleven type of Rayo, since there was always some variation. However, Míchel has bet three consecutive days (Celta, Real Sociedad and Alavés) for the same titular team. Something unpublished so far this season. The Dimitrievski; Advíncula, Velázquez, Abdoulaye, Amat, Álex Moreno; Embarba, Comesaña, Imbula, Trejo; and De Tomás form the most repeated alignment so far. But now the sanctions will force the coach Vallecano to introduce some retouching. Comesaña and Baby saw in Mendizorroza the fifth yellow, so they will lose the derby against Leganés. The Galician is being a key piece in the rayista gear, acting as a pivot; while the end has become a habitual revulsivo for the second partes. With the loss of the injured Elustondo-waiting to close a defensive medium in this market-and the sanction of Comesaña, Míchel will have to find alternatives. One option is to line up Medrán accompanying Imbula in the midfield. Another would be to overtake one of the central. La technician Vallecano had only repeated eleven in days 4 and 5 (with Alberto under clubs and Elustondo in the middle), at 6 and 7 (already with Comesaña but with Kakuta and Baby in the wings) y at 12 and 13 (with Dimitrievski, but Gálvez back and Well as end) .